After years of kayaking and travel in Washington, California, Florida, Costa Rica, Mexico, Belize, Guatemala, and Honduras, we were fortunate enough to stumble upon the people and nature reserves in Nicaragua. It was a life-changing moment. We are proud to say that Los Zorros, Nicaragua, is now our home. At Ibis we are built on our staff of professional guides, cooks, and drivers, as well as our partnerships with local families and locally-owned hotels and restaurants. We thank everyone who has been a part of making it possible…Dona Reyna, Eli, Rosa, Dina, Tila, Uciel, David, Don Tacho, Eddy, Martha, Juan, William, Gerardo, Juana, Nahomy, Nato, Tina, and many, many more. 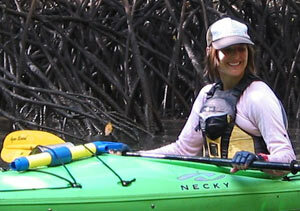 Jenn has traveled in Central America, Mexico and the US, paddling kayaks, rafts, and dugout canoes on coastal bays, estuaries, rivers, and lakes. A wildlife biologist, outdoor educator, ACA-trained sea kayaking instructor, farmer, vagabond, and guide, Jenn will treat you to all of the best parts in Nicaragua. Her knowledge and passion for her new home is absolutely contagious. David was born and raised in Padre Ramos. 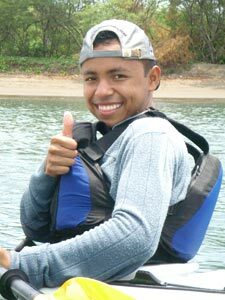 He is a fisherman, a student, and he plays in a beach soccer league when he is not a bilingual guide on the estuary. 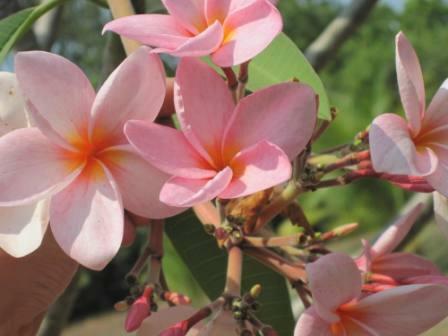 David brings a profound knowledge of the local fauna, especially the marine life, with his deep connection to the sea and estuary. He loves to practice and teach languages too, even though he can be a bit shy. Dina is our talented and beloved cook and logistician. (She is also a wicked shot at “tropical bocce”). When Dina is not working with Ibis, she cares for her two boys, Josue and Alex, and she manages a cattle herd and local pulperia with her family. Her cooking specialties are local favorites like fresh snapper, miel de ayote, gallo pinto, y arroz relleno. Dina is also an amazing guide and teacher. Whether making tortillas or collecting local plants to concoct bread and jewelry, Dina naturally invites us to learn with her. 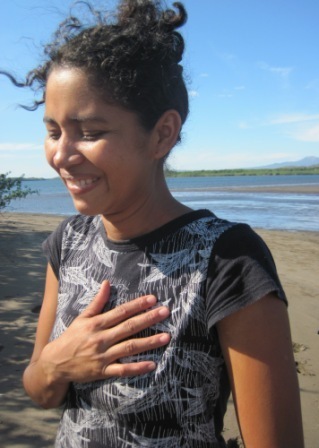 Uciel was born and raised in Padre Ramos, Nicaragua. 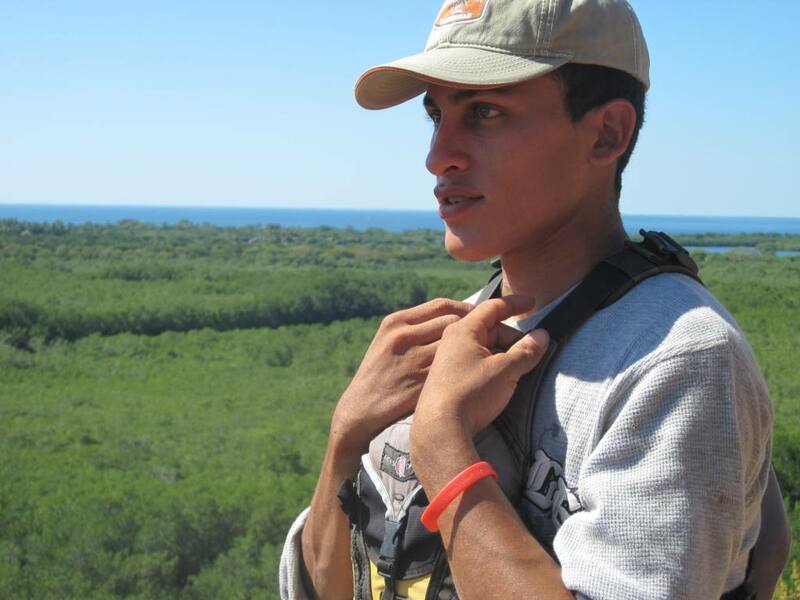 When he’s not kayaking on the estuary or hiking to the top of a volcano, Uciel is an English student at the National University of Nicaragua in Leon. 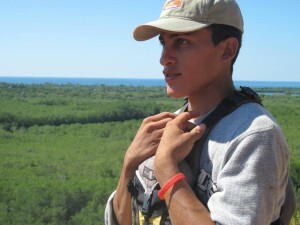 He lives surrounding his twelve siblings in Padre Ramos and their extended families. Uciel is almost always trying to make people laugh.